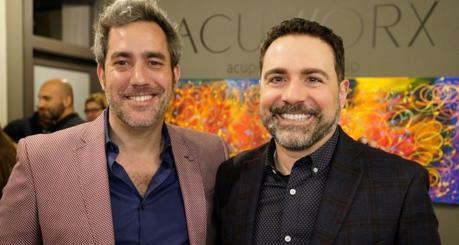 Spring has sprung in the art world as Jersey City Artist Mark Finne partners with Panos Ioannou, L.Ac., of Acuworx Acupuncture Studio to launch his newest collection of arwork titled "Spring Aw8kening". 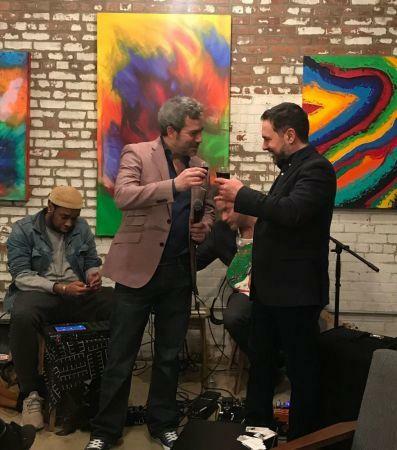 Local Jersey City Artist, Mark Finne, opened his spring aw8kening art gallery show on March 20, 2019 with a private reception at Acuworx Acupuncture Studio. In honor of spring equinox, over 100 invited guests attended the opening party featuring seventeen of Finne's vibrant, original acrylic on canvas paintings in various sizes. His work will be on display and for sale thru June 2019 in Studio 3A at Acuworx Acupuncture Studio. Eight additional pieces of the Artist's work are featured in the main lobby of Vito A. Lofts. 10% of all sales in Finne's above mentioned collection, will be donated to Big Brothers Big Sisters of Essex, Hudson & Union Counties.